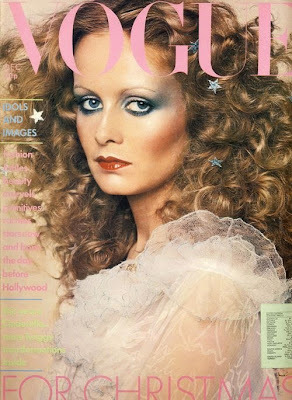 Recently, the cosmetics department at my place of work held an event celebrating the 'Fabulous Seventies', in honor of the brand Fashion Fair. 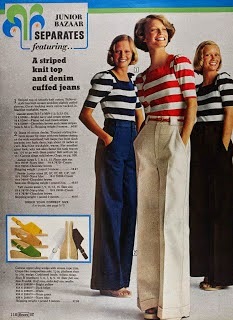 All of us were required to dress in the style of the decade, which initially made me cringe, but I quickly got over that. 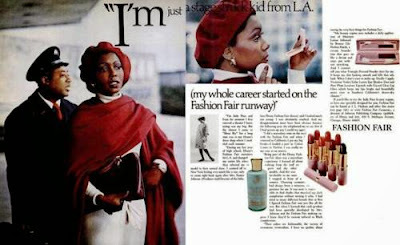 After all, this ad featuring Judy Pace easily proves that the 1970s were not completely devoid of style and taste. 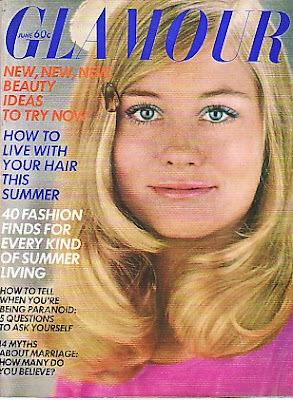 Newly inspired, I went on a mission to research fashion photos of the decade again, this time with ideas for our event in mind, and militantly determined to think outside of the 'Groovy' bell-bottomed, polyester encased box that has become synonymous with that era. 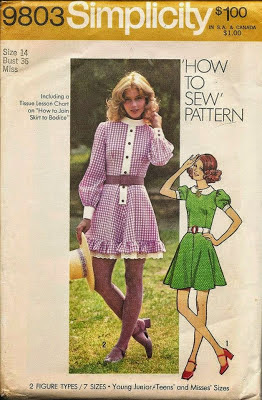 Although I didnt have a chance to film or photograph my final outfit choice for our Seventies event, I will say that this venture has reawakened my interest and a tutorial or two will likely be in the works that reflects that. Watch a few episodes of One Day at a Time or Three's Company and you'll see further evidence of this fact. 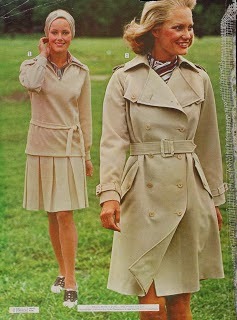 But that being said, even the late Seventies had an 'upside' or two. 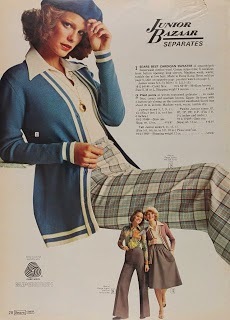 Annie Hall brought us a refreshing trend of oversized menswear which, although not physically flattering perhaps, was decidedly chic and adorable on many a young lady. 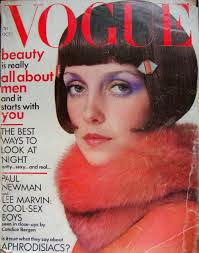 Even Diane Keaton still sports it on a regular basis. In addition, every decade seems to revisit the Golden Age of fashion and the 1970s were no exception. 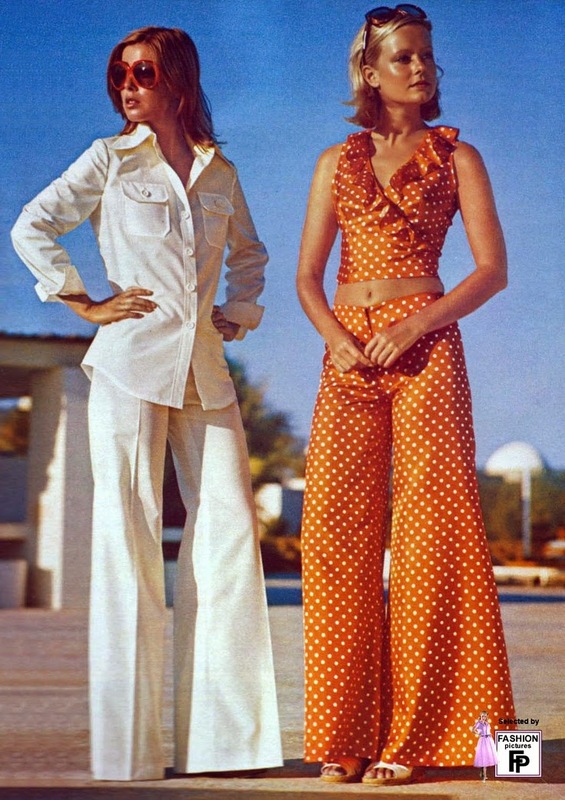 While the 1980s failed miserably when it came to the '80's does 50's' trend, for the most part, the Seventies brought back the 20's and 30's with great success. 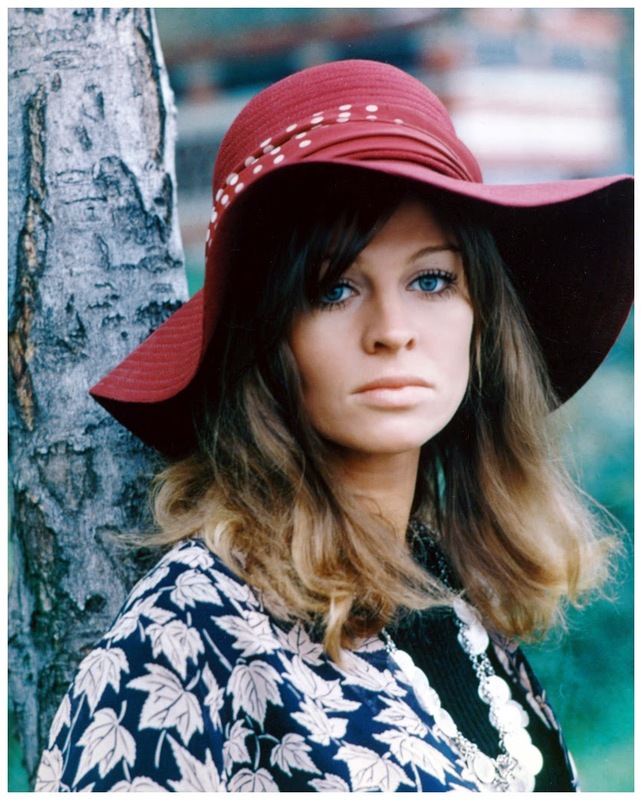 The earlier part of the decade saw a return to large floppy hats, slim-through-the-hip high waisted trousers, cropped sweaters, peter pan collars, and turbans. 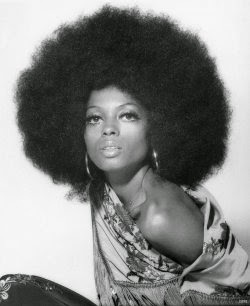 When researching hair and makeup, the former was usually neither here nor there, with the exception of a few stunning 1920's/1930's inspired bobs and some fabulous afros. 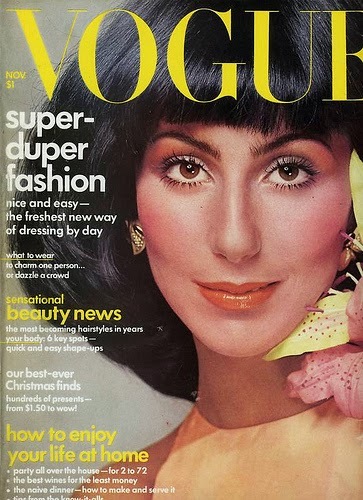 One of the best parts of the decade though, is the makeup, which was by turns painstakingly natural or colorfully indicative of silent film. In both cases, the lashes are the star, either because they are defined and detailed to distraction or because they are almost nonexistent! 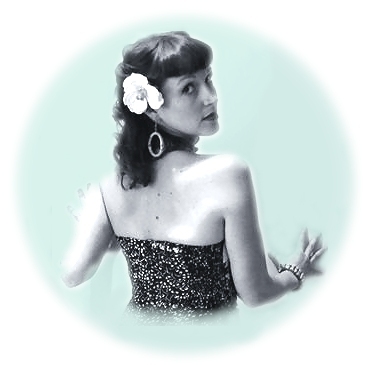 If necessity calls upon you to visit this decade of fashion and like me, you are a different kind of vintage gal, blissfully stocked up on all that you thought were the antithesis of such things, this blog will hopefully help you reexamine that. 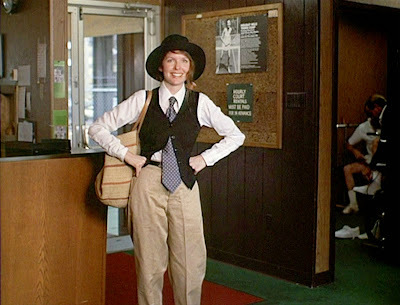 I learned that my 1940's trousers could double as Annie Hall-wear really easily, when paired with a wide tie and a man's shirt. 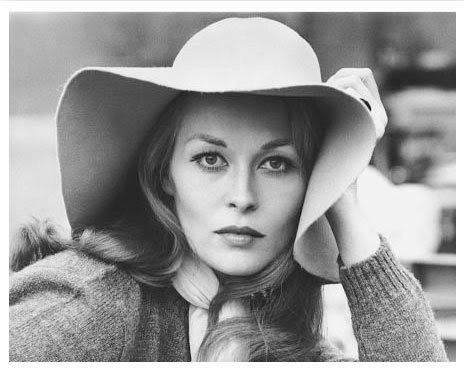 My Audrey-esque sun hat looked very Dunaway when I bent the brim differently. 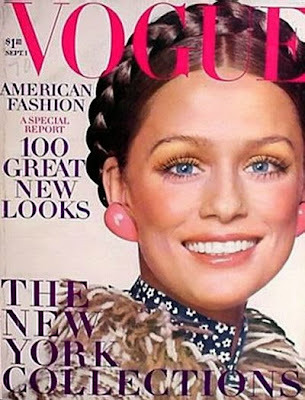 A few carefully applied individual bottom lashes, a subtle and slick lip gloss, and some bronzer went a long way in creating a very accurate 70's makeup. Even fighting the urge to set my hair and embracing it's stringy natural texture proved oddly liberating. And I didnt even have to break out a lava lamp. I'm so glad to see this topic being discussed! 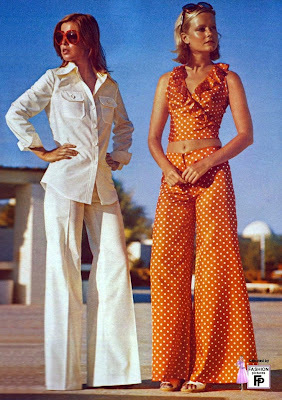 I used to hate the 1970s, disowning all fashions of that decade being tasteless and obnoxious. 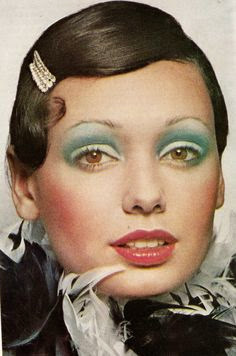 A further look into that decade, however reveals a lot of fun youthful looks that take inspiration from the '30s and '40s. A great example of that is the BIBA look. 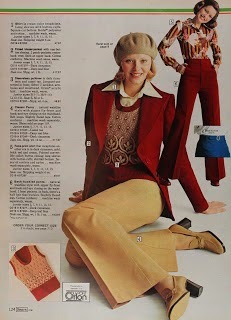 As a lover of fashion history as a whole, I think we can take a few tips from 1970s style. 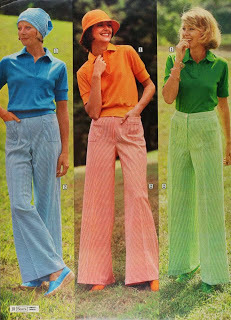 The 70s is such a hot button decade for me. I wanted to be Kelly from Charlie's Angels so bad it was ridiculous. But as I, ahem, matured I realized the 70s was heavily influenced by the 30s. 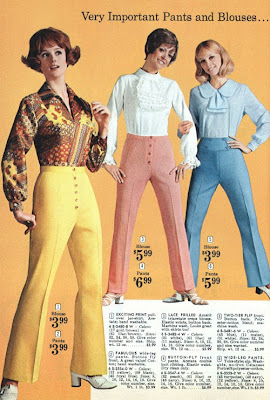 That made it really easy to ignore some of the not-so-great moments like leisure suits, naugahyde and blue eyeshadow.